It’s never too early to ‘Design your Future’ and follow in the footsteps of pioneering scientific minds such as Marie Curie, Thomas Edison and Charles Darwin! 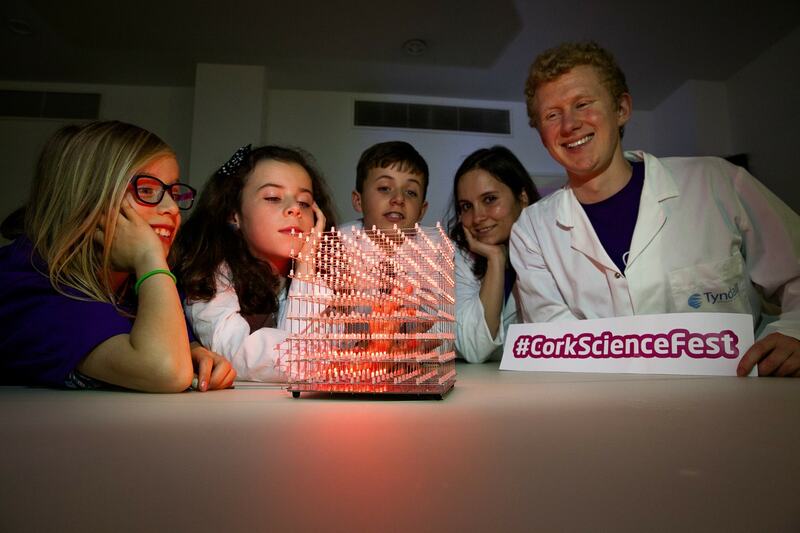 Now in its 11th year, Cork Science Festival 2015, (formerly Discovery Science Festival), run in partnership with Science Week Ireland, features a line-up of events in schools across Cork City and County and family days at City Hall – a line up which is sure to get young creative minds buzzing! This year’s theme – ‘Design Your Future’ – encourages children of all ages to be inspired and get involved and hands-on in celebrating the fascinating worlds of science, technology, engineering, arts and mathematics (S.T.E.A.M). Cork Science Festival 2015 will also give students of all ages the opportunity to delve into the minds of some of Cork and the world’s ‘leading lights’ in the S.T.E.A.M industries. Following last year’s festival success, this year kicks off with the outreach program touring schools around Cork City and County from 9th – 20th November bringing S.T.E.A.M to life in a classroom setting. Students can explore a multisensory approach to the learning of mathematics, in a series of fun hands-on maths based puzzles, games and activities with Lifetime Lab ‘Mathworks’. They will get to build rockets with Rob Hill from the Northern Ireland Space Office and see the universe in their own school hall with Blackrock CIT Observatory’s StarDome, a portable planetarium. Tours of Cork ETB’s mimic facility are also on the agenda, here students will get an overview the Life Sciences Sector and of Pharmaceutical manufacturing, while experts will advise on types of employment opportunities in this sector in Cork. Some intriguing new demonstrations and workshops have been added this year, sure to entertain and amaze. Simon Watt’s ‘Ugly Animal Roadshow’ focuses on some of the world’s most ‘aesthetically challenged’ endangered species. The Global Chemistry Experiment presents an internationally crowd-sourced experiment on hydro gels, where results are updated in real time onto the world map on the Royal Society of Chemistry website. The time-travelling ‘Doctor Death’ will present the Medi-evil Medicine Show, a historically and scientifically accurate pantomime for children and adults alike featuring gory treatments for ailments across the centuries. Another world class research group in Cork has joined the festival for 2015 – The INFANT neonatal research centre. They will bring 2 workshops to schools: In the first, students can find out what blood is made of and discover how knowing more about our blood helps doctors save mums and babies. The second activity explores how the brain tells the body to move. With some of the very top pharmaceutical and IT companies in the world having bases in Cork, Cork Science Festival 2015 will give students and parents a fantastic insight into the education and career options on their doorstep here in Cork. 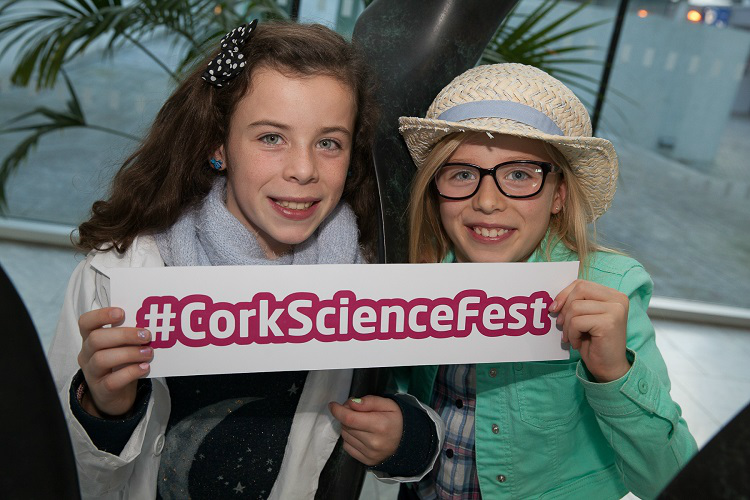 Whether it’s having hair-raising fun with static electricity, or zapping the microbes from deep inside the human gut, Cork Science Festival 2015 is sure to get a ‘positive reaction’ from young people as their eyes are opened to the fun and amazing secrets unlocked by the study of science, technology, engineering, arts and maths. Stay tuned to their Facebook and Twitter for interesting science facts and trivia, and exciting competitions and giveaways.